You might want to take a close look at that hardcover copy of the first Harry Potter book, as some versions contain an error that makes them super rare, and pretty darn valuable. 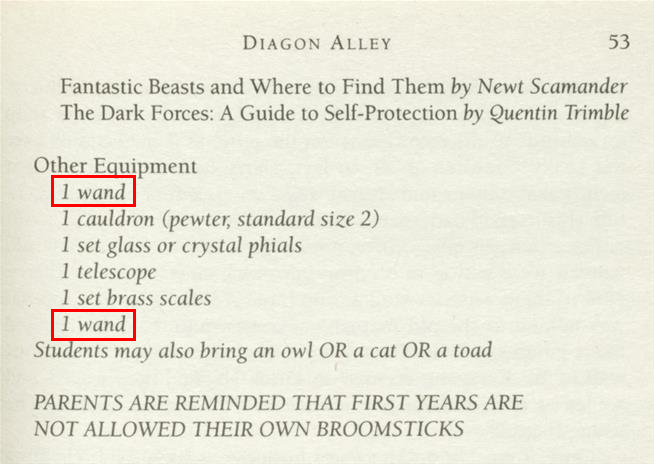 There are about 500 first edition copies of Harry Potter and The Philosopher’s Stone (in U.S. editions, the boy wizard was paired with The Sorcerer’s Stone) that have the mistake: “1 wand” appears twice in Harry’s list of required supplies for Hogwarts on page 53. There’s a copy of the 1997 book going up for sale in a November auction which is expected to sell for as much as £26,000 (about $33,600), as it’s in “excellent condition,” Matthew Haley, Bonhams’ Head of Books and Manuscripts, said in a press release (h/t The Independent).